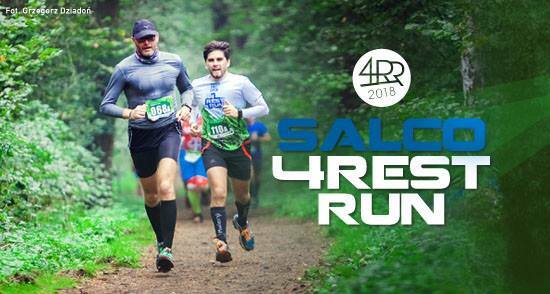 “4RestRun” is a unique event. It‘s a combination of sport race, relaxation in the nature and the team spirit atmosphere. It‘s a fun sport activity where success is dictated by the results of all four team members. We put heavy accent on atmosphere – it‘s not only about who will come first. We run in the forest, we run in the team, we enjoy running and enjoy being together. There‘s strength in the team. And that‘s what this event is all about. Start and finish will be in the same place as before – close to the bib pick-up station. Payment to: Stowarzyszenie "Niepołomice Biegają"
Parking in the forest, near road “75”, the one with open gym. Bib pick-up will be available in this location on race day only. Team result is the sum of the results of all four participants. There will be extra prizes (not only for the top 3 teams in each category) and gifts for almost everyone who participated in the event. All participants who complete the race will receive finisher medals. The main organizer of the event is the running group “Niepołomice Biegają”. Partners who are co-organizing the event: Urząd Miasta i Gminy Niepołomice, MKS Spartakus, Nadleśnictwo Niepołomice.